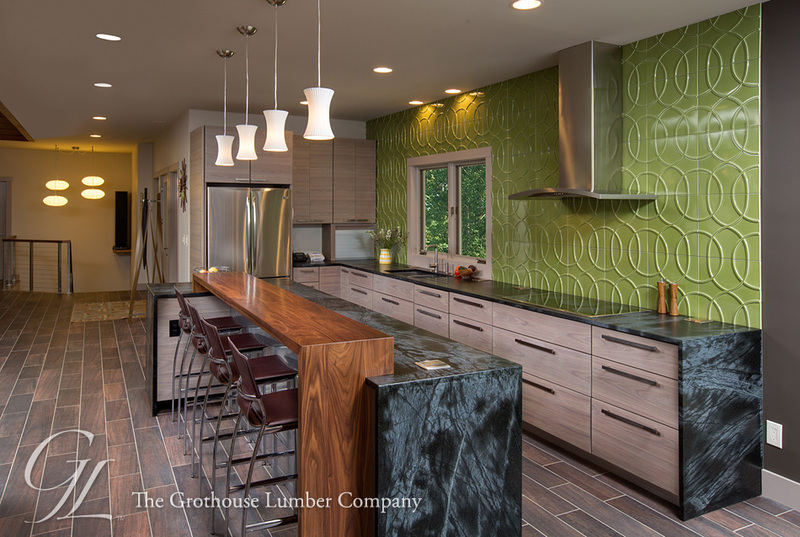 Waterfall Countertops manufactured by Grothouse are the latest design trend in today’s luxury homes. 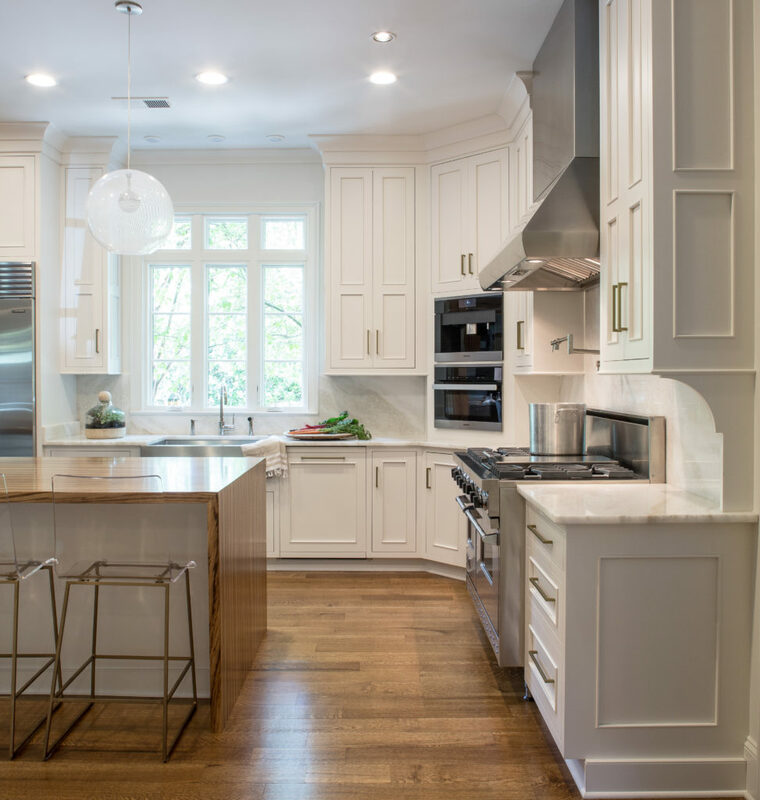 They can be found in homes with any style design, ranging from Modern to Traditional. 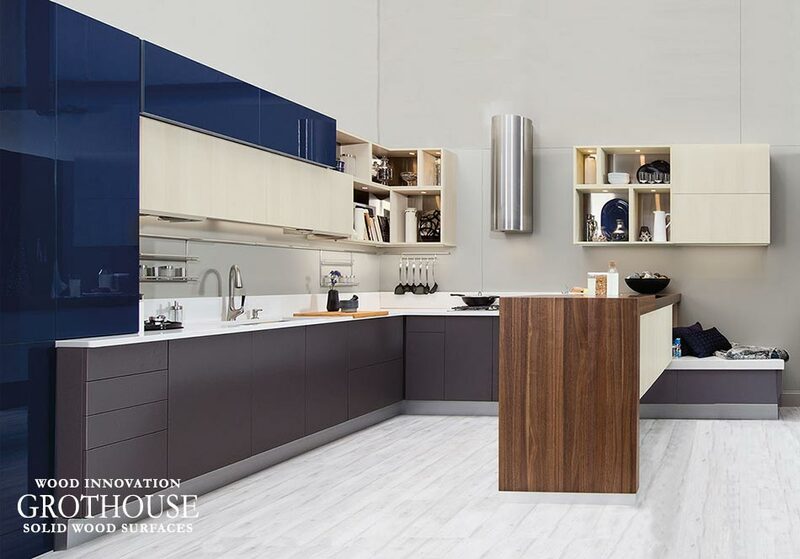 At Grothouse, Waterfall Countertops are referred to as Pastore™ Style Countertops. 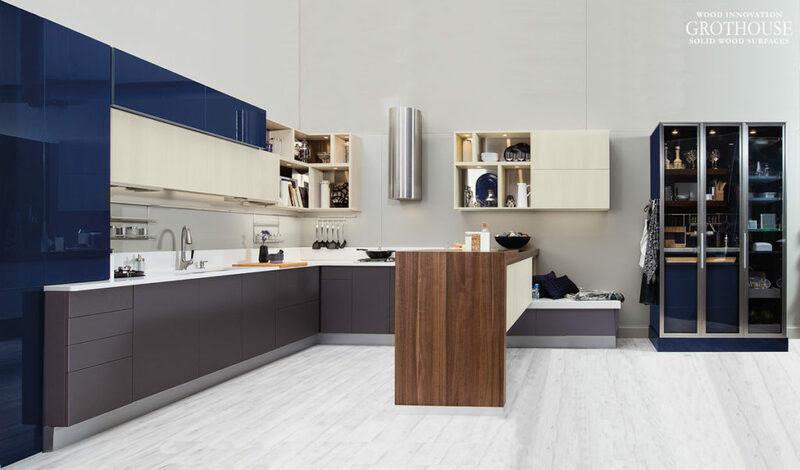 This style includes a solid wood countertop that is mitered to solid waterfall legs, creating the appearance of a continuous surface that blends into legs. So is it a countertop or a table? 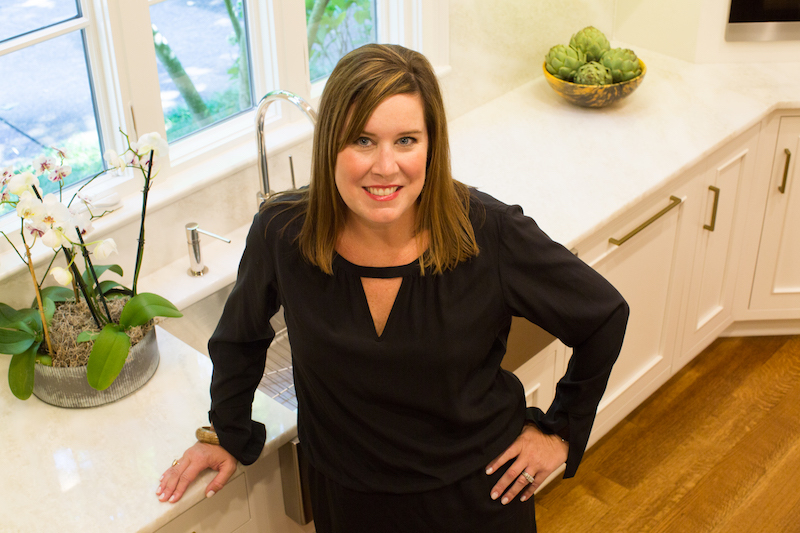 The answer is both; the design can take form of a table or a countertop. 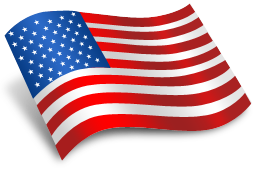 Pastore™ Style designs can be used in several applications. 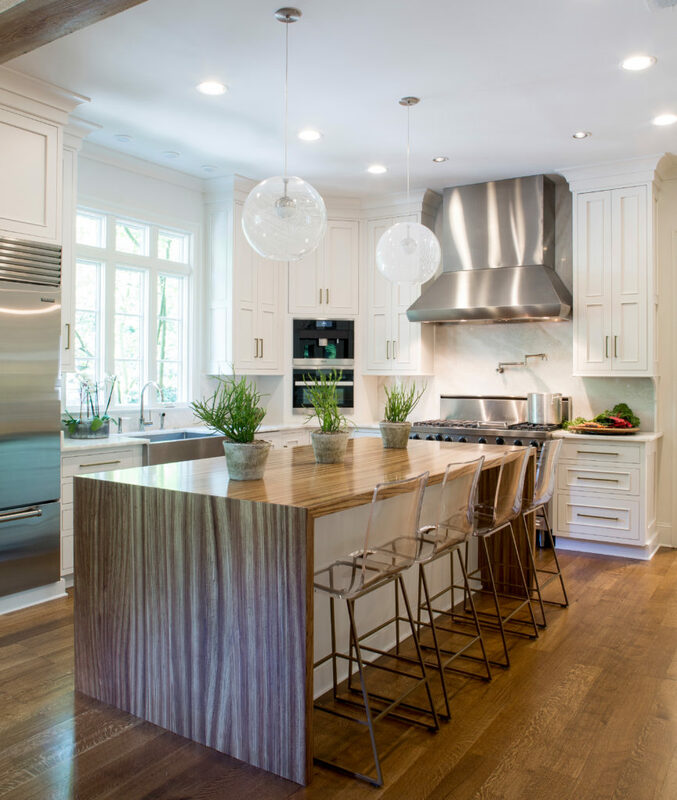 They are often placed over kitchen island cabinets or used as tables or desks. 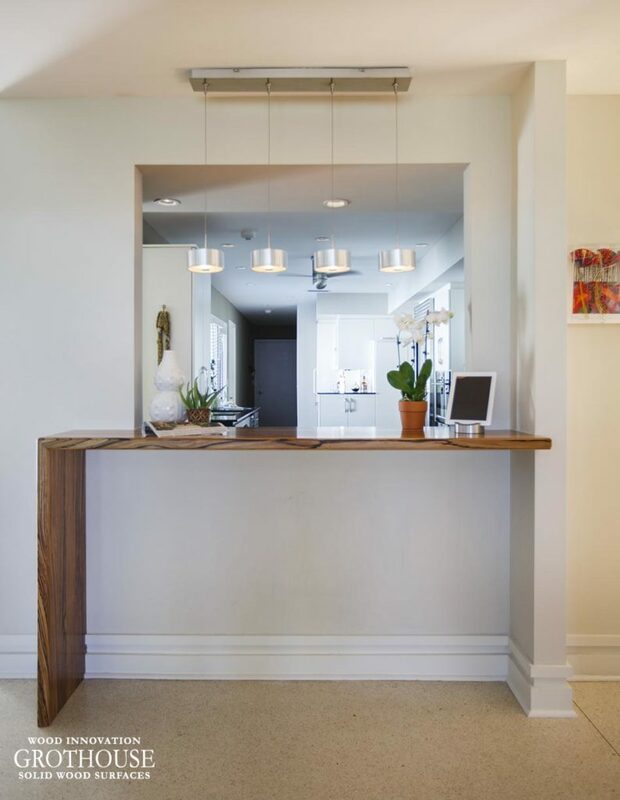 They can be fixed in a permanent place, or installed with casters to create a movable surface for additional counter space. 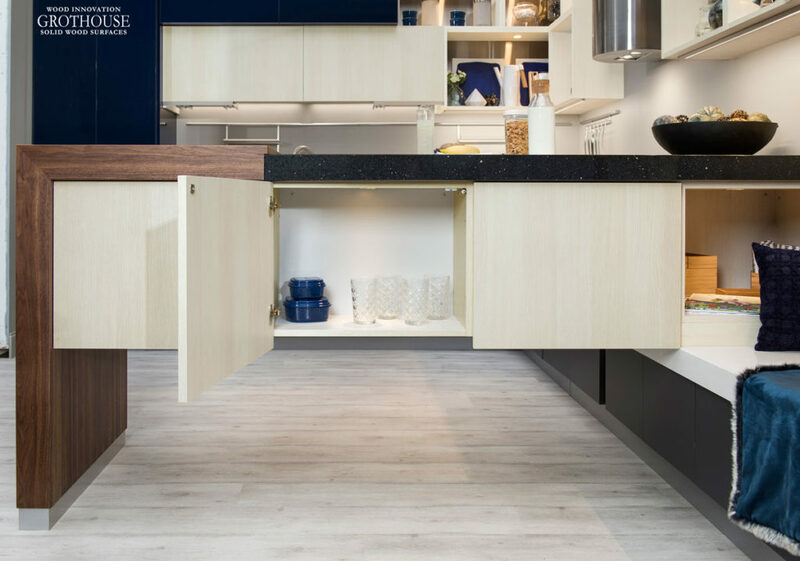 Adding casters to a Pastore Countertop™ creates a mobile kitchen work table for food preparation or seating. 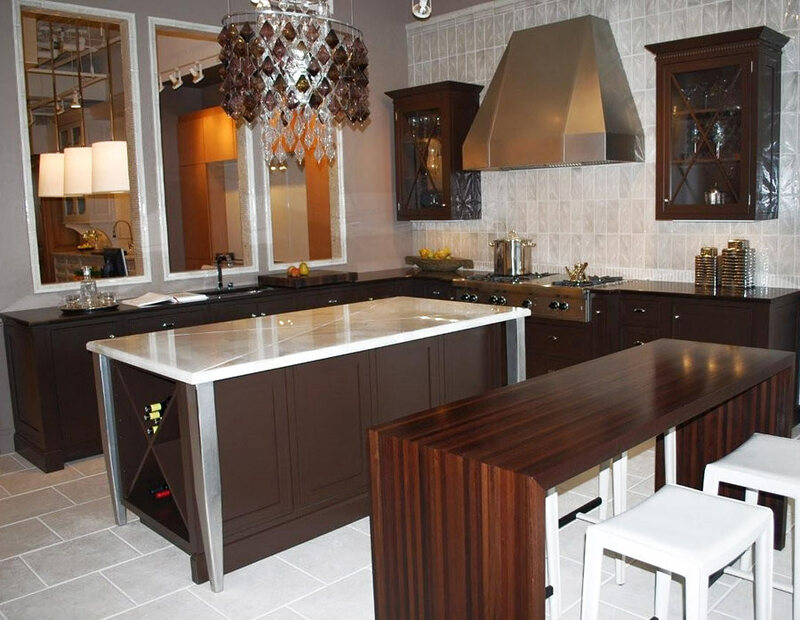 Pastore™ Style Countertops can be constructed in any wood specie. They can have any edge profile, but clients often choose a Roundover for a clean, sleek appearance. 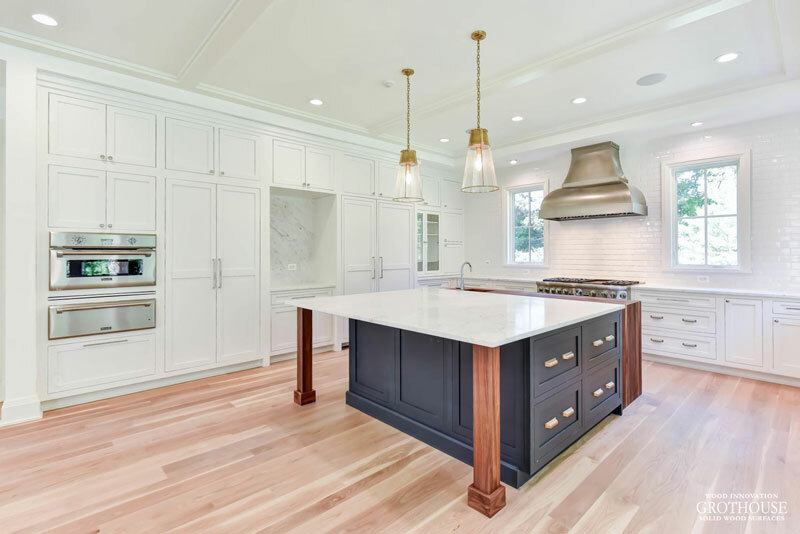 Pastore™ Waterfall Countertops can be manufactured in End Grain Construction, Edge Grain Construction, and Flat Grain Construction. 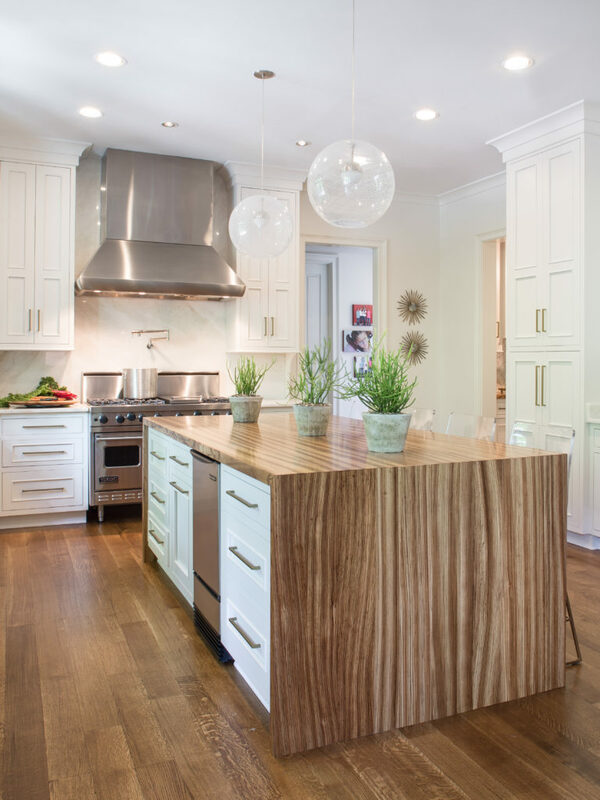 Edge Grain Waterfall Countertops can have a miter joint or box joint. 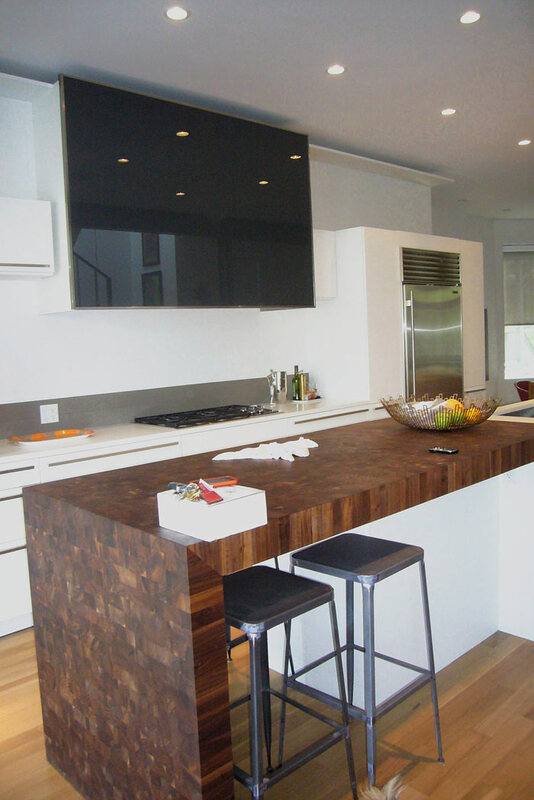 End Grain Pastore™ Countertops can also have a miter joint. 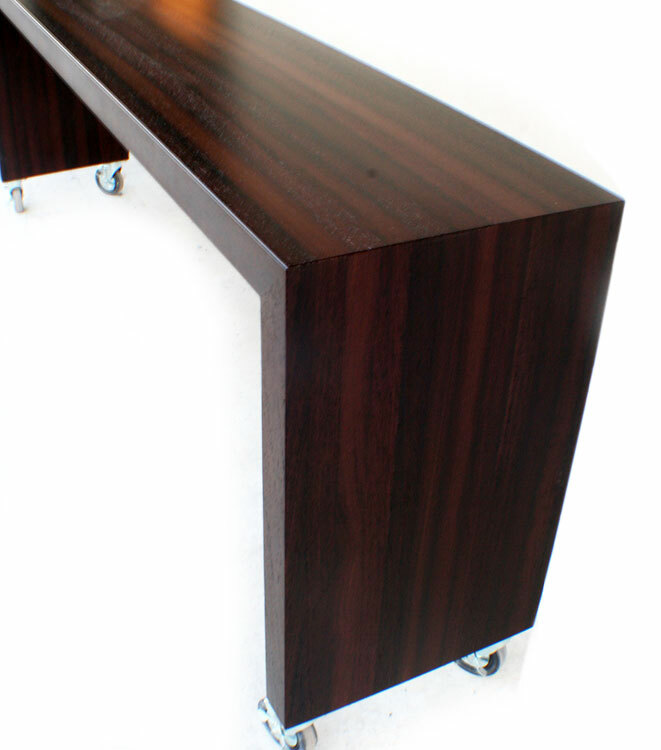 The miter joint permits the End Grain Butcher Block appearance throughout the leg. Another option is to have a continuous stave. 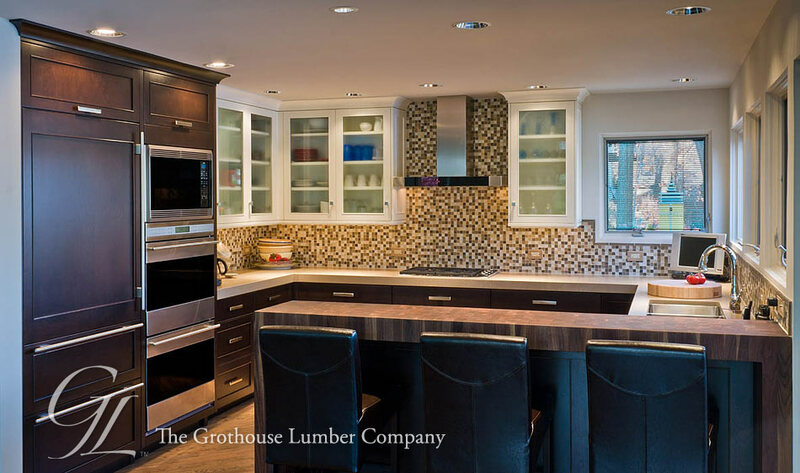 End Grain Pastore™ Countertops must be finished with Grothouse Original Oil. 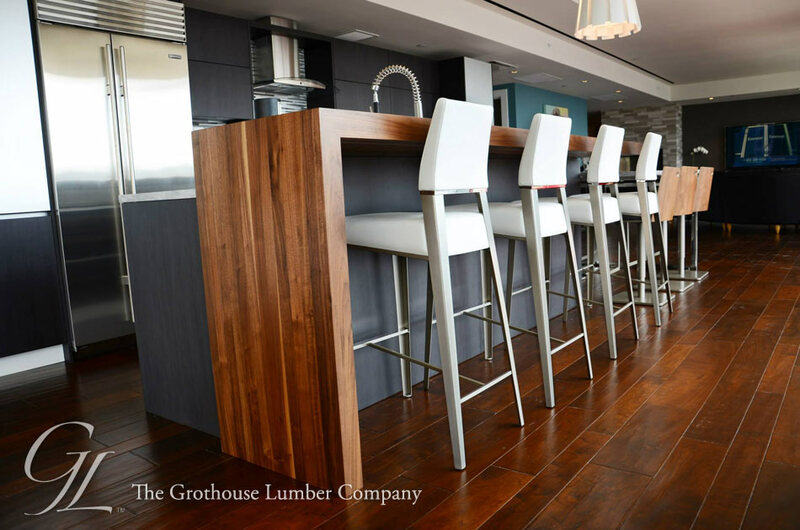 Grothouse Original Oil Finish is the best product for keeping butcher blocks and wood countertops properly maintained. 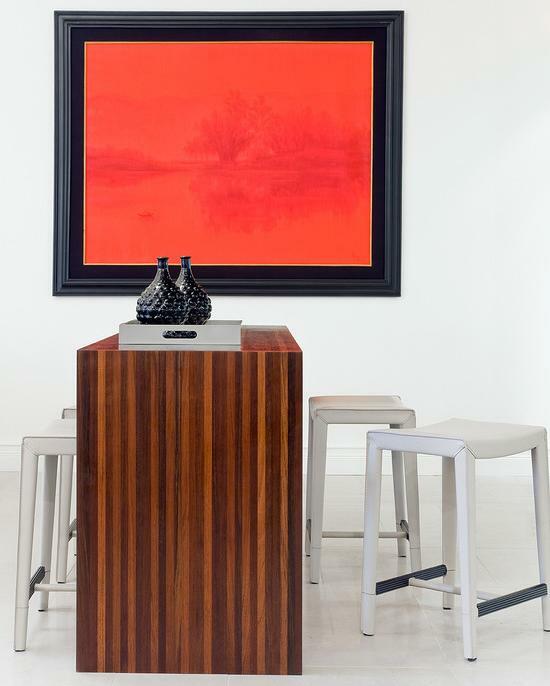 The Original Oil™ is pure mineral oil and is used for lasting protection on wood surfaces. It is completely food safe and can be used on surfaces used for food preparation, including direct chopping. This finish requires ongoing maintenance. 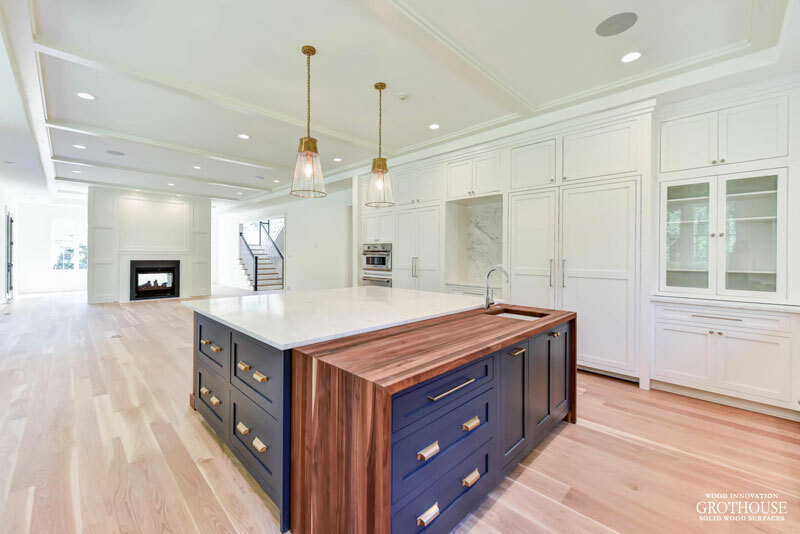 When a countertop is constructed in Edge Grain or Flat Grain Style, it has the option to be finished with our Original Oil or our Durata® Permanent Finish. 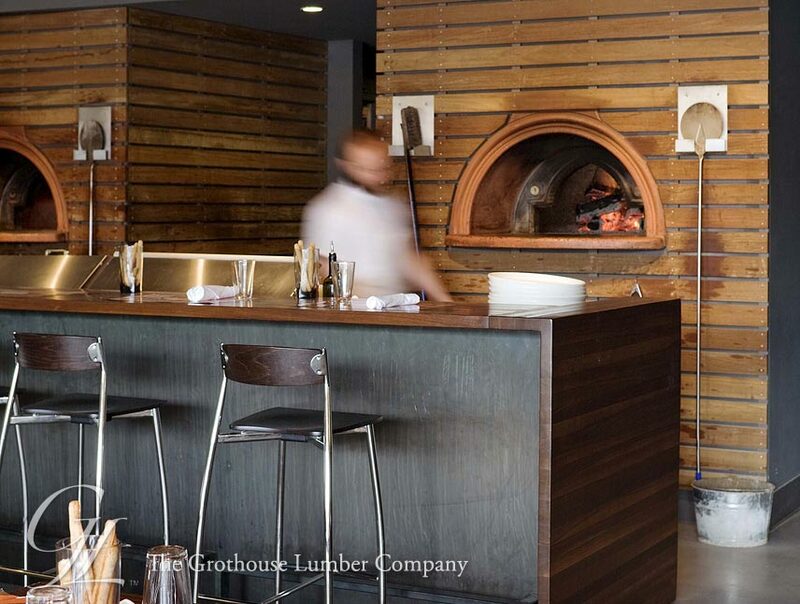 The commercial restaurant pictured above has a modern design utilizing the warmth of wood. 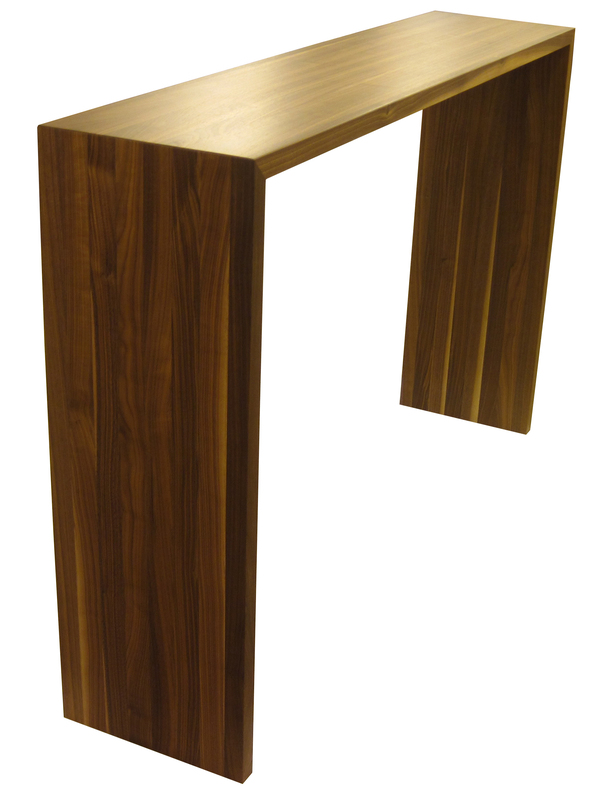 The Walnut Waterfall Countertop wraps down the sides to create legs to the bar top. The bar top is sealed with Durata® Finish. 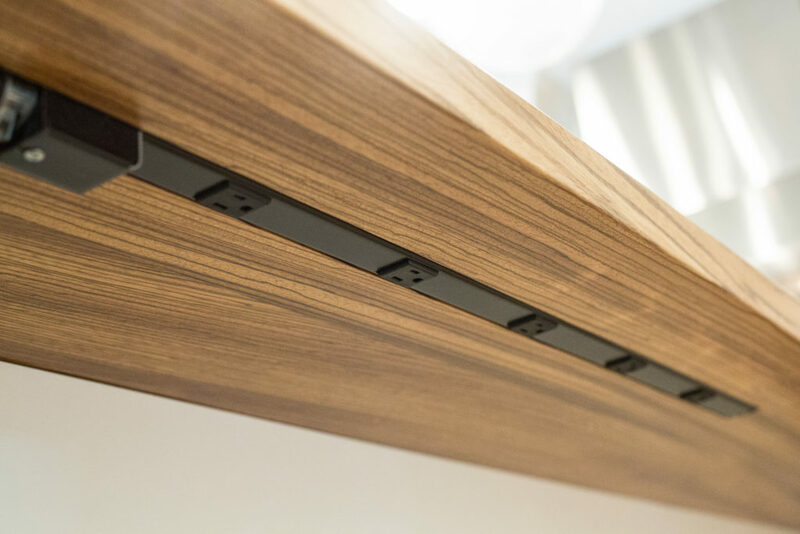 The finish is waterproof and flexible so no flaking will occur over time. 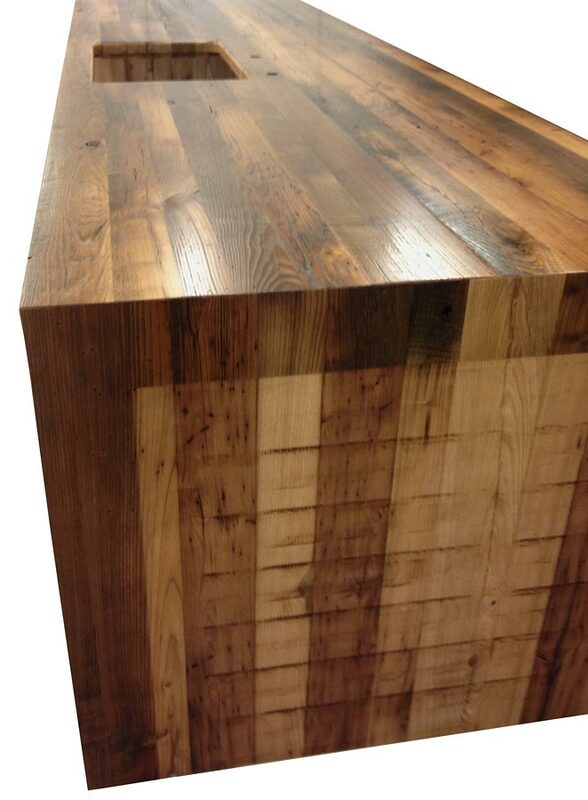 Durata® is a commercial quality finish used in many commercial spaces for restaurant tables and bar tops. 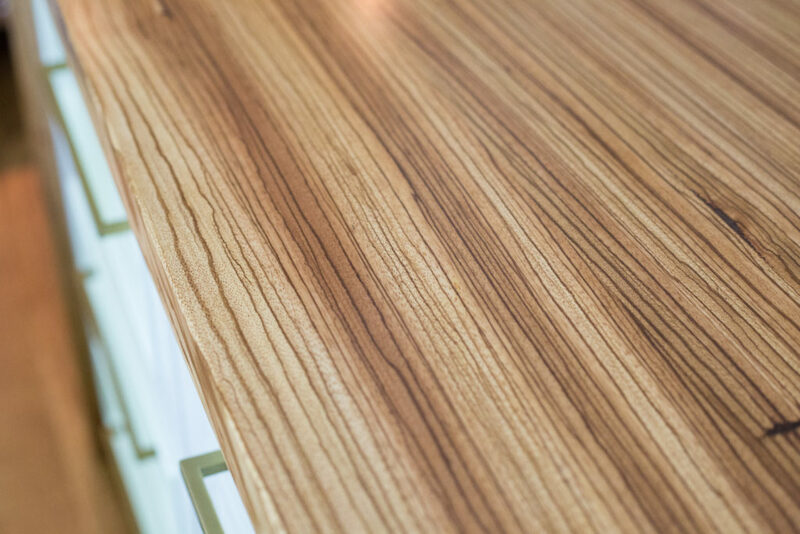 It is the best wood countertop finish on the market today and does not require ongoing maintenance. 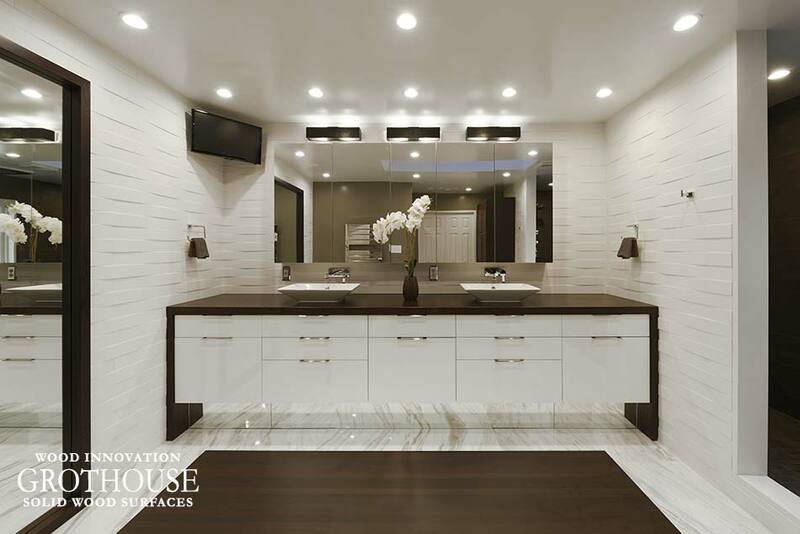 The Countertop Image Library features more designs with Waterfall Countertops.